Giveaway ends November 25, 2011. Hopefully you'll enjoy the site! I like reading the reviews, which seem to balance somewhere between Amazon and formal book blogging. 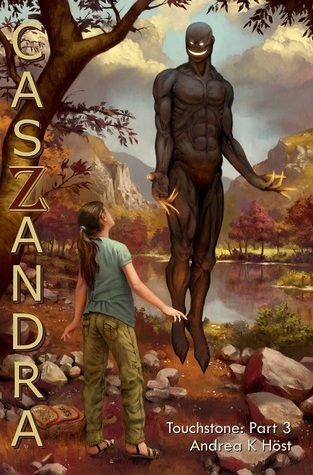 I am so excited about Caszandra coming out soon. I barely got any sleep or anything done for several days while reading Stray and Lab Rat One. When this volume comes out I doubt I will be worth a dang until I finish it. :) Very excited to see there is a bonus volume. I agree with the thief of sleep title - Stray and Lab rat one did that to me too. Just signed up at Goodreads. Unfortunately, can't find your book giveaway there. @ Brooke - So glad you've enjoyed Touchstone! I didn't really have anything formal set up for Facebook, but I do now!